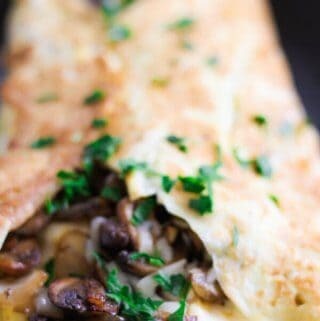 An omelet with mushrooms and onions topped with mozzarella cheese: What’s not to like? 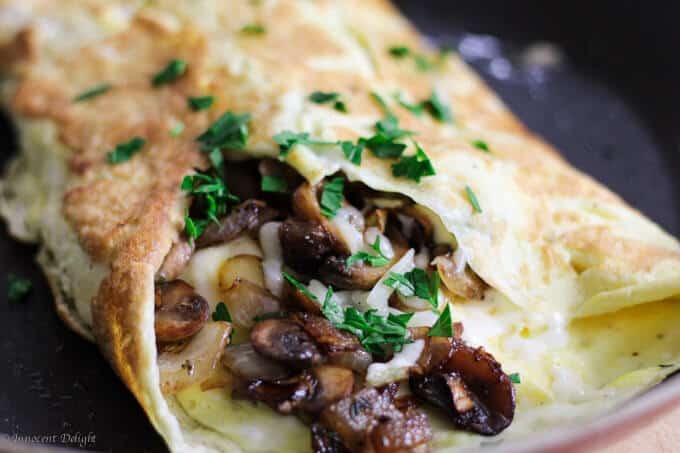 If you’re a mushroom person (like me), this breakfast is for you. So easy to make too. 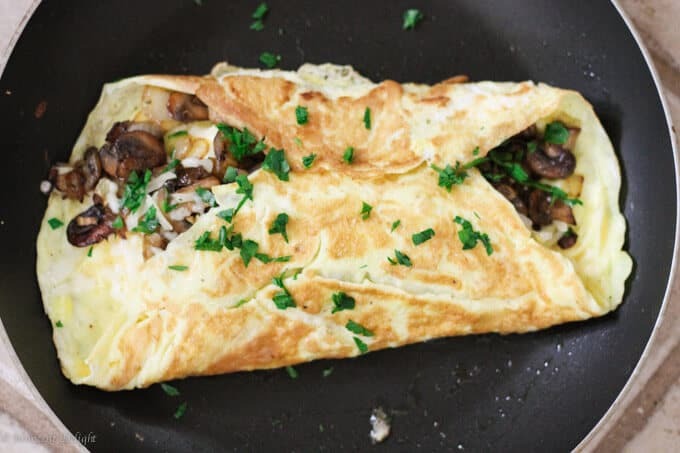 While the French would tell you that making a perfect, fluffy omelet isn’t as easy as it may seem, I was fortunate enough to see one of my French/Polish friends prove that it actually is easy. 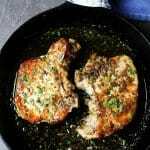 The trick is to have a very hot pan and enough butter or oil in the pan that when you pour the eggs, the omelet sizzles. Then swirl the pan around, pushing the eggs to the middle of the pan to make space for the running egg tops. 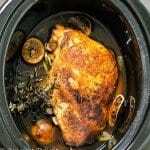 You’ll quickly achieve one consistent surface that can thicken up. You don’t need to flip it. Once the eggs are set, you add your filling and fold the edges. Push a little with the spatula and voila! I almost forgot – before you even start, you should beat the eggs so they can get as much air as possible; this will make them fluffier. 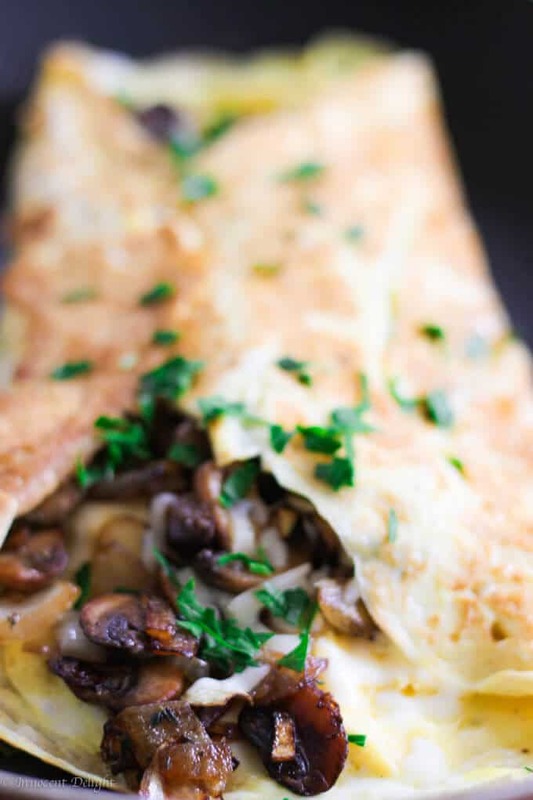 And that’s the secret to the perfect french omelet. I previously wrote about how great mushrooms are and all their health benefits. 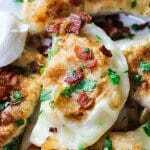 It doesn’t really matter if they are wild mushrooms or farmed button once – they’re all good for you.